Marriage is one of God’s most beautiful institutions, but we all go through seasons of difficulty at one time or another. You may feel vulnerable, hopeless, or even betrayed. Don’t despair! God’s Word can be hidden in our heart. 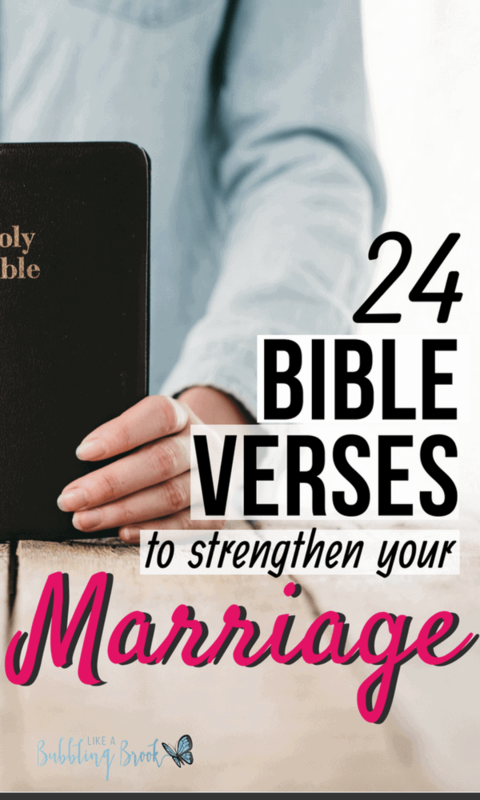 Here are 24 bible verses to strengthen a marriage; use them to prayerfully draw closer to your spouse and to God. Do you crave more intentional ways to apply the transforming Word of God to your marriage? 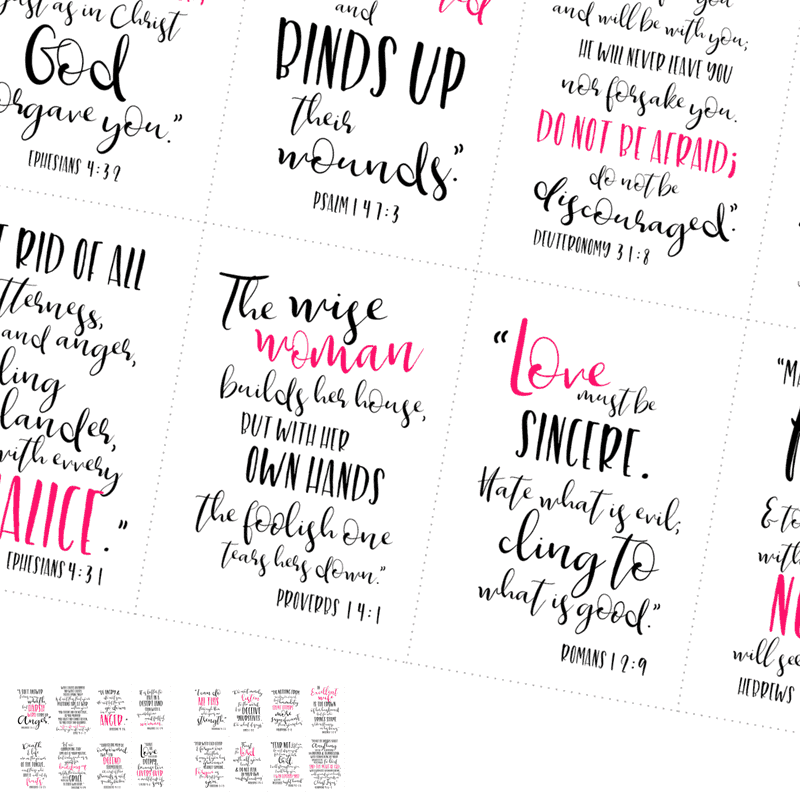 Use my beautiful marriage scripture cards to meditate on God’s Word as you go about your day! Keep them in your purse, wallet, and bible. Hang them on your refrigerator and mirrors. Use them as constant reminders that God is working and moving in your marriage! There you have it — 24 bible verses to strengthen a marriage. What others would you add to this list? My marriage bible study is a quick two-page download that will help you deepen communication with your spouse and with God. These marriage scriptures are outlined on beautifully designed cards that you can print and keep with you in your purse or around your house, to help you stay mindful and intentional about strengthening your marriage. If you’re craving more from your time with God, you’ll love my 31-Day Time With God Toolkit. A great Christian book about intimacy in marriage is Sheet Music by Dr. Kevin Leman. Grab our free bible study on marriage and dig deeper when you join our email list! Includes thought provoking questions and scripture references, too.